Museum West is noted for its high standards in materials, workmanship, and especially the design that goes into each and every one of our frames. Our materials differ sub-stantially from other frame shops. Our stock mouldings are hard woods, such as maple or walnut. We stock only mats that are archival, acid-free and of the highest quality available. We buy these special mats in quantity so as to keep their costs competitive with the lesser quality mats found in so many other frame shops. Our designers know how to specify different types of bevels on mats, such as painted, gilded or reverse bevels; they know how to specify the appropriate thickness of a mat, sometimes as much as a 16 ply design, when appropriate. 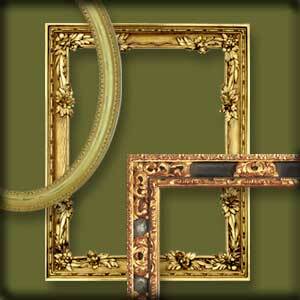 This is substantially different from the 4 ply inexpensive paper mats so often specified in other frame shops.